Authority guest posting is ?1 most powerful service when it comes to improving your organic traffic.Hands down, guest posting links flat out get RESULTS. 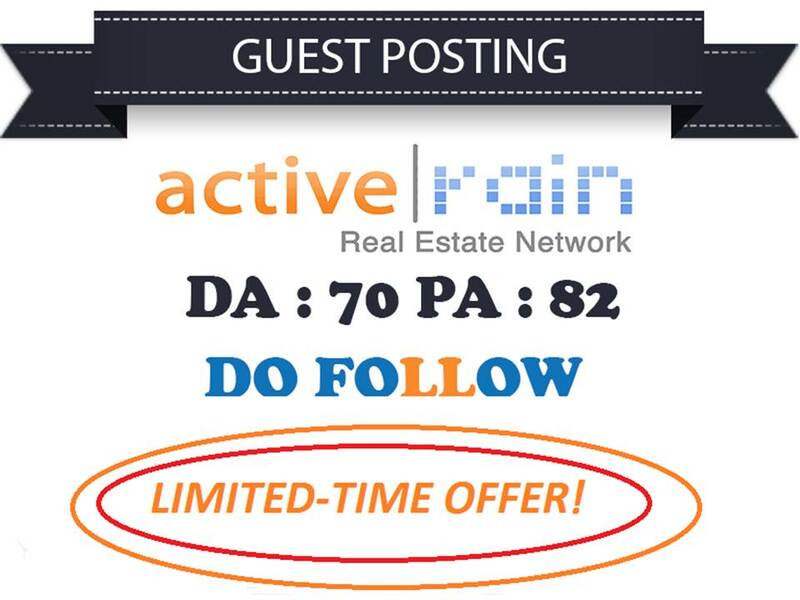 ActiveRain is the largest and most active professional social network in the real estate industry. Provide me your website keyword or url.